Free Practice: In both free practices the Kaufmann drivers showed an impressive performance under heavy rain conditions. P 2- Schothorst, P 6 - Olsen and P 14 - Delétraz. Qualifying: In the Qualfying all Kaufmann drivers drove in the same group. 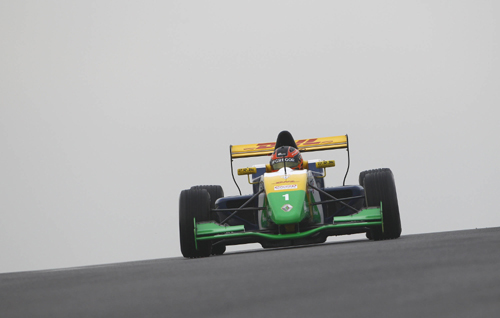 It was Schothorst on P 2, Olsen P 4 and Delétraz P 14. 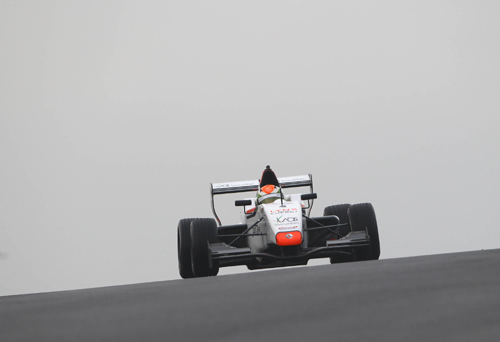 Race 1: In the first race all Kaufmann drivers could improve their positions. Schothorst finished P 2, Olsen P 6 and Delétraz P 12. 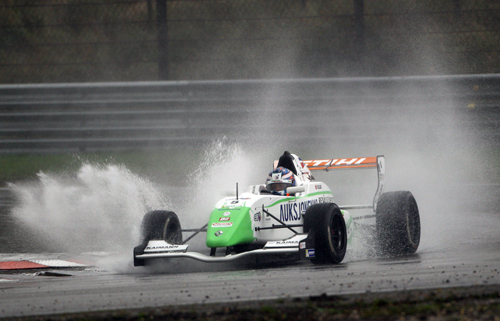 Race 2: In the second race it was raining again very hard. Schothorst and Olsen drove a brilliant race moving up to podium positions which they lost in the last lap due to some yellow flag confusion and finally came in on P 5 and P 6. Delétraz finished P 18. Race 3: Race 3 in which Dennis Olsen was starting on Pole Position was cancelled due to the very bad weather.